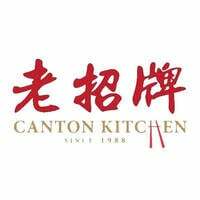 Canton Kitchen 老招牌 is a home of Cantonese cuisine, providing those enthusiastic for it with comfort in their meal. One can be delighted in various flavours this restaurant brings about with its signature crisp fried phoenix ball, sha tian chicken, and red chilli fish among others. It strives to become an ideal spot for family and friends to dine in while having lively conversations float in the air.